The GoFit Core Performance Reaction Ball is designed to reduce any athlete's reaction time whilst increasing their speed and agility. In order to keep athletes on their toes, the ball has an unpredictable bounce requiring a proper reaction to catch it. 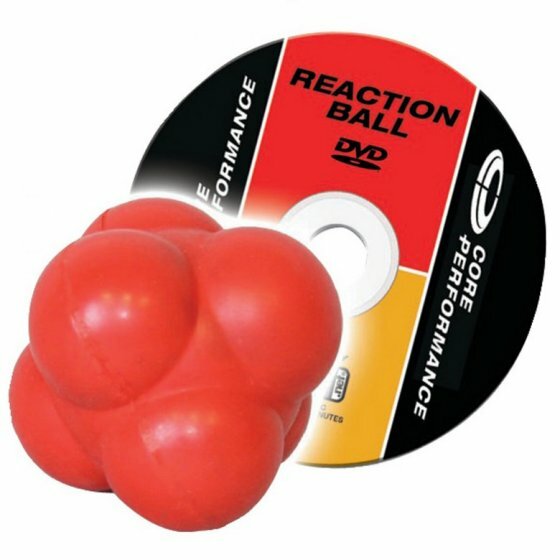 The GoFit Reaction Ball is the first reaction ball to include a training DVD. The DVD has been created by owner & founder of the Athletes' Performance institutes & author of the Core Performance book series, Mark Verstegen. The DVD will teach you to train like the pros for baseball, soccer, football, hockey & any other sport requiring quick reaction times.